This article was last updated Sep 17, 2018, but some terms and conditions may have changed or are no longer available. For the most accurate and up to date information please consult the terms and conditions found on the issuer website. Consumers who regularly shop at American Eagle Outfitters and Aerie can see benefit from the AEO Connected® Credit Card. This store card can only be used on purchases at AEO and Aerie stores and at ae.com and aerie.com. But there is the AEO Connected® Visa® Credit Card, which can be used anywhere Visa is accepted. We’ll detail the differences between the two cards in this review. At a $0 annual fee, the AEO Connected® Credit Card doesn’t cost you anything to carry, so you can fully benefit from earning rewards on your purchases and from perks that include free standard shipping — as long as you pay your bill on time and in full each month. In this review, we’ll break down who should consider applying for the AEO Connected® Credit Card, the rewards associated with the card and alternative cards for apparel shopping. 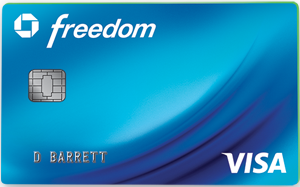 If you don’t mind that the AEO Connected® Credit Card can only be used at AEO and Aerie stores and at ae.com and aerie.com and that reward redemption options are limited to certificates that can only be used at the stores above, then this card may be a good choice for you. You can earn rewards at a quicker rate compared to using a general-purpose card. But if you’re someone who carries a balance from month to month or wants flexible redemption options, the AEO Connected® Credit Card isn’t the best choice for you. Check out some of the alternative cards we mention later. American Eagle Outfitters offers two credit cards that are very similar — the AEO Connected® Credit Card and the AEO Connected® Visa® Credit Card. The main difference between the two cards is that the AEO Connected® Credit Card is a store card. That means it can only be used at AEO and Aerie stores and at ae.com and aerie.com. In comparison, the AEO Connected® Visa® Credit Card can be used anywhere Visa is accepted, so you can earn points on all purchases made with your card. The basic rewards for the AEO Connected® Credit Card and the AEO Connected® Visa® Credit Card are the same, but since the AEO Connected® Visa® Credit Card can be used anywhere Visa is accepted, you can earn rewards on all your spending with the card. For every 2,500 points you earn — or $167 spent at AEO and Aerie stores and at ae.com and aerie.com — you’ll receive a $10 reward that can be used online or in-store at AEO and Aerie. That’s about an effective 6% rewards rate. Both cards also provide a new cardmember discount where you receive a coupon for 20% off your first purchase, refer to coupon for details. You may think that earning 15 points per dollar spent is a great rate — and it is — but to put it in perspective, cardholders really only earn an additional five points per dollar spent since anyone can sign up for the free AEO Connected® program, which provides a base 10 points per dollar spent. See the next section for more details on the AEO Connected® program. The AEO Connected® program is free and provides members exclusive perks and rewards. There are two tiers: Full Access and Extra Access. Full Access only requires you to make one purchase a year, while Extra Access requires $350+ in annual spending. When you open an AEO Connected® Credit Card or AEO Connected® Visa® Credit Card, you’re automatically enrolled in the program at the Full Access level, however, instead of earning 10 points per $1 spent at AEO and Aerie stores and at ae.com and aerie.com you Earn 15 points per $1 spent at AEO and Aerie stores and at ae.com and aerie.com. If you spend $350+ annually, you’ll reach Extra Access and can benefit from a higher $15 reward for every 2,500 points earned, a higher 20% off birthday coupon and free standard shipping. Note: Both the AEO Connected® Credit Card and the AEO Connected® Visa® Credit Card offer a 20% off birthday coupon and free standard shipping without the need to spend $350 a year. But if you want to earn the higher $15 reward for every 2,500 points, you’ll need to spend $350+ a year to reach Extra Access. The AEO Connected® Credit Card has the common high APR associated with store cards at 27.74% variable. If you carry a balance on this card, you’ll incur high interest charges and may fall into debt. As a general rule, we strongly recommend you pay your bill on time and in full each month. If you pay on time and in full each month, the 27.74% variable APR shouldn’t be an issue. (462) Over the Past 60 Days! 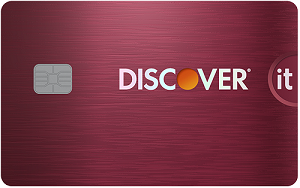 The Citi® Double Cash Card – 18 month BT offer is consistently our top pick for a cashback card with a $0* annual fee and the ability to earn 2% cash back on purchases: 1% when you buy plus 1% as you pay. Compared to other cards that may only offer 1% cash back on everyday purchases, that rate is hard to find. Besides cash back, you can register eligible products with Citi® Price Rewind and Citi will search for a lower price within 60 days from the purchase date. If a lower price is found, you may receive the difference between the price you paid and the lower price. If you don’t shop at AEO or Aerie, the AEO Connected® Credit Card isn’t for you. You may be better off with a cashback card that offers rotating 5% cashback categories on a variety of purchases that may include department stores or online shopping sites such as Amazon.com for one quarter of the year. Take note, while these cards can provide you a high 5% cashback rate on eligible purchases, you need to remember to activate the bonus categories each quarter. And the 5% cashback rate often has either quarterly or yearly maximums up to $1,500 of spending before the cashback rate drops to 1%. (357) Over the Past 60 Days! (12) Over the Past 60 Days! Earn a $150 Bonus after spending $500 on purchases in your first 3 months from account opening. The AEO Connected® Credit Card is a good choice for AEO and Aerie shoppers who don’t carry a balance and spend at least $350 a year at the stores since you can benefit from earning a $15 reward for every 2,500 points, or $167 in spending. If you typically carry a balance, spend less than $350 a year or are looking for a simpler rewards card, you may be better off joining the free AEO Connected® program and using one of the alternative cards mentioned above. They provide flexible redemption options that typically include statement credits, gift cards and direct deposit — compared to the reward certificate provided by the AEO Connected® Credit Card that can only be redeemed online and in-store at AEO and Aerie. Alexandria is our go-to credit card writer, covering everything from credit card reviews, "Best Of" round-ups, and industry news to helpful explainers with tips and strategies for credit novices. She graduated from Adelphi University. Costco vs. Sam’s: Which Card is Better?